The beginning of a new partnership. BOXROX Magazine announced today that it will partner with Georgia based company Freeze Sleeve in a new 12 months sponsor deal starting immediately. Freeze Sleeve’s partnership with BOXROX, the #1 magazine for fans of Crossfit and functional fitness worldwide, will help the brand gain a wider audience on a global scale to educate people on their revolutionary cold therapy compression sleeve. The Freeze Sleeve provides relief and recovery for aching muscles and joints for all ages and sizes. With an easy slip on process you get 360 degree of even compression coverage that allows a full range of motion at the same time. The sleeve design allows you to use it on multiple areas of your arms and legs. In addition, it is specially formulated with an antibacterial gel that eliminates odors and is also non-toxic. The Freeze Sleeve is a revolutionary cold therapy compression sleeve that provides 360 degrees of coverage to relieve aching muscles and joints. The Freeze Sleeve is non-toxic, made in the USA and is 100% leak proof. The Freeze Sleeve is soft and comfortable and remains flexible even at -20 Degrees Fahrenheit. The Freeze Sleeve is available in multiple colors and sizes for children and adults. BOXROX is the #1 online magazine focusing on fans of the lifestyle sport Crossfit as well as functional training. The magazine covers the entire competitive fitness movement, providing current and topic-related coverage of the global scene. 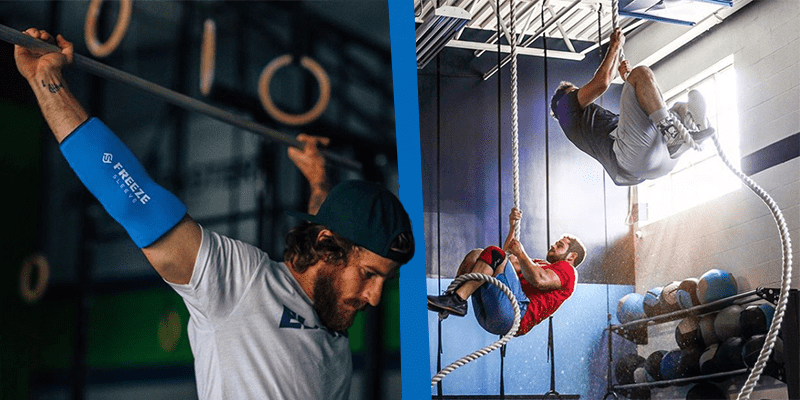 It is their mission to connect the worldwide community of fitness enthusiasts. With over 200 contributing writers from the highest level, professional athletes, coaches, nutritionists and specialists, through to everyday Crossfitters, they provide an actively engaged and informative spectrum of viewpoints on the scene.